Specializing in the production of modern bathroom furniture, Porelanosa’s vanities are a focal point in every space. Our exceptional product range includes various materials such as lacquered gloss, wood veneers, laminate veneers and KRION New Generation Solid Surface. Our bathroom vanities are based on the concepts of functionality and modernity along with personality, design appeal and a distinctive panache. From traditional to the most avant-garde styles, our bathroom furniture can be utilized in any design motif. For an established and sophisticated approach, classic bathroom vanities are a consummate choice. 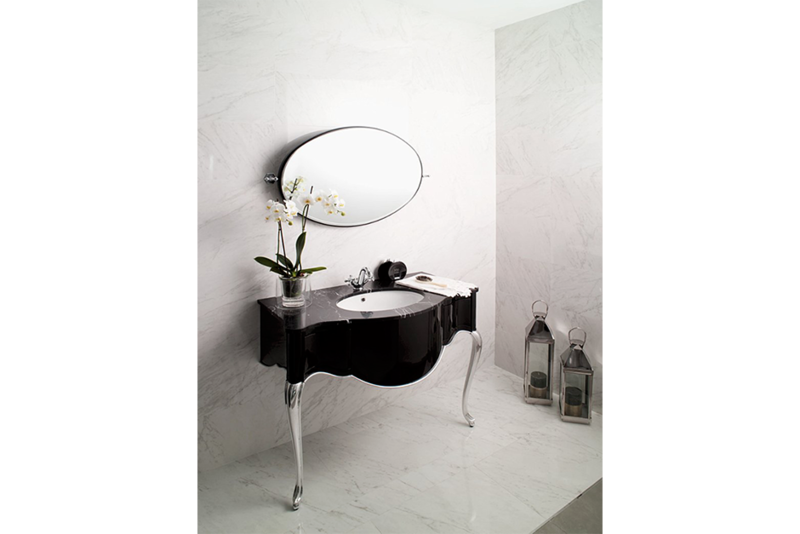 Our PIANO vanity mixes understated elegance with lustrous materials for a balanced design contrast. Make an upscale statement in a small powder room by opting for black or white gloss lacquer. With its wall-mounted legs, the IMAGINE vanity features a ceramic sink and appears to have a floating look further creating space. A classic single bathroom vanity exudes a timeless ­­­refinement and airy feel, while providing an optimum organizational space for any bathroom. Modern bath vanities add both polish and practical functionality to any space. 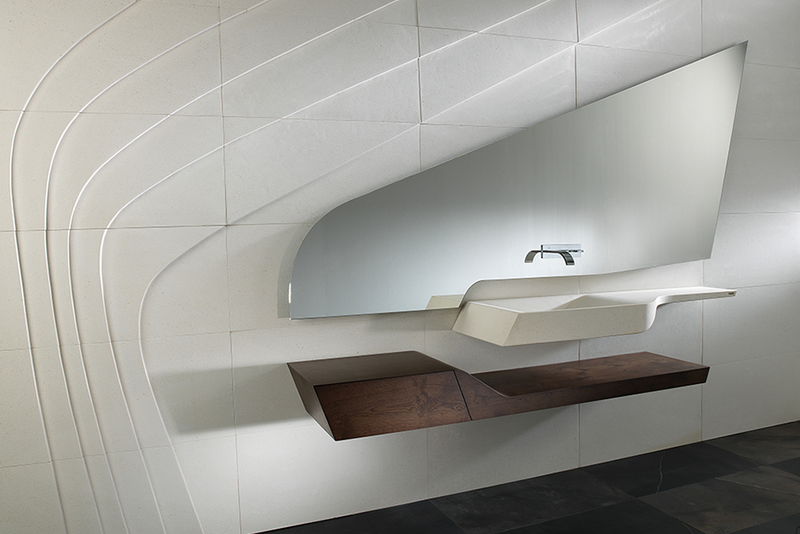 Inspired by flowing sculptural lines, the SPIRIT vanity is comprised of a large, oblong wall-mounted piece available in stone or wood elements. Our impressive bathroom furniture is easy to maintain and highly resistant to damages. With its wall-mounted sink and compact design, the FLOW Series presents smooth lines with rounded edges made out of KRION New Generation Solid Surface. 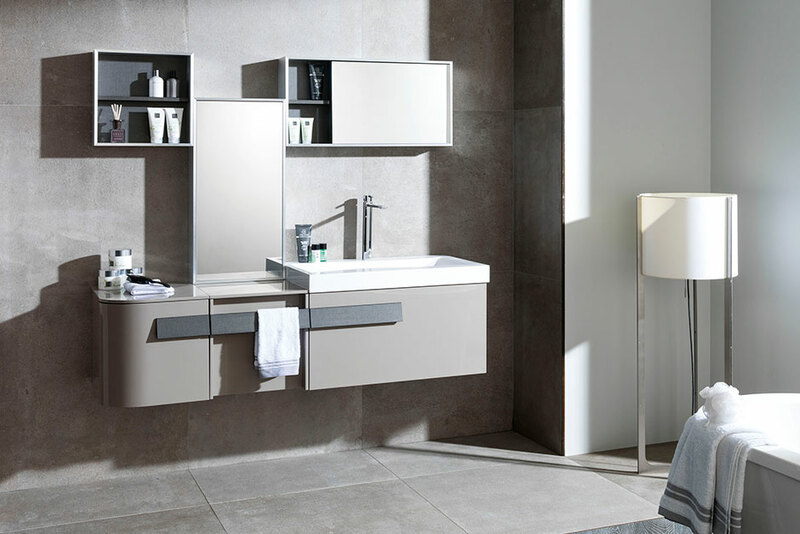 Elevate a clean and sleek design aesthetic with our modern bathroom furniture ideal for any space. Find inspiration for a contemporary residential remodel with our transitional bathroom vanities. 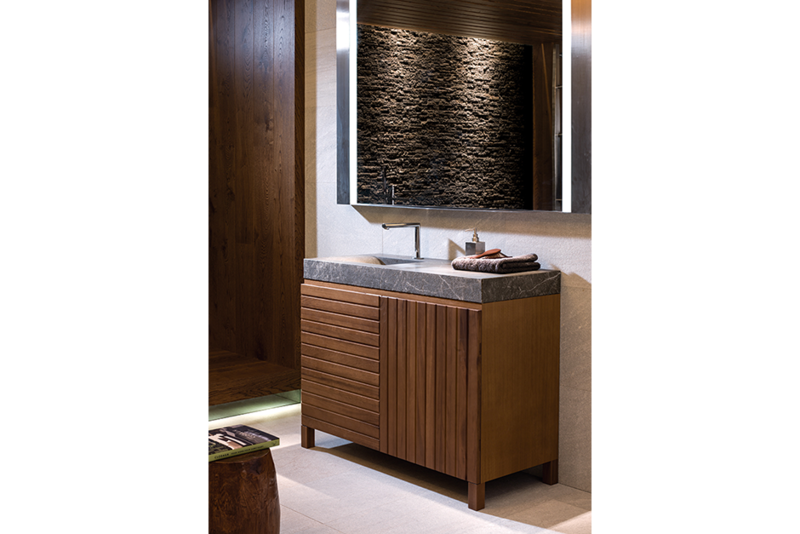 Our floor standing HEICH vanity produces a rustic and simplistic look, which is available in both Camel and Caco. Pair a simple color scheme with current design trends throughout your bathroom to better connect your space. The AZRAMA Collection, designed by Clodagh, is comprised of pieces that feature natural marble and tropical wood as their main materials. Transitional bathroom vanities add a cultivated ease and practicality to any design approach. Porcelanosa’s unique options perfectly combine and achieve the desired stylishness of every room. While meeting the needs and demands of our clients, our customized bathroom series offer a new dimension in interior design. By extending our partnerships with the industry’s most advanced technological institutes, we ensure the quality and range of our bath products. From floor standing and wall-mounted, to single and double sink vanities, our exemplary bath furniture makes the bathroom a luxurious oasis within your own home. A graduate of The College of Charleston and Universidad Veritas, Anne Fava began her career on Capitol Hill and now hones her writing and editorial craft penning lifestyle content, for local and national brands. Her greatest passion lies in the art of interior design and creating warm spaces for inspired living. As the wife of a general contractor, she and her husband are always on the hunt for their next big project where she can experiment with the latest architectural and design solutions. Anne lives in Severna Park, MD, with her husband and two young children.